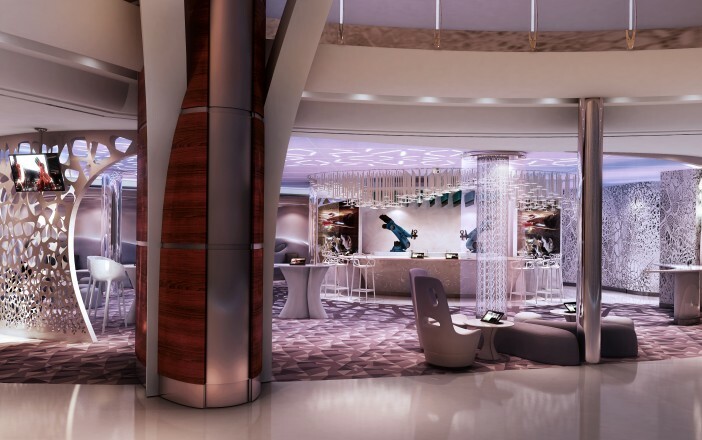 In the five plus years since Royal Caribbean last launched an Oasis Class ship, they’ve been on a mission to bring cutting edge technologies to the planet’s oceans – concentrating their efforts on the Quantum Class of cruise liners, the world’s most technologically advanced cruise ships. The Quantum, Anthem and Ovation of the Seas have all entered service, providing a stunning technology-laced experience for all cruise guests – but at a smaller size than the Oasis Class ships. But now Royal Caribbean’s desire to introduce the world’s biggest cruise liners is well and truly back in full swing with the Harmony of the Seas, set to be the biggest liner in operation. Fortunately, all their hard work over the last five years in crafting the Quantum Class will be put to further good use, with Harmony receiving many of the technological features so proudly boasted on the Quantum vessels. Making a welcome fourth appearance are the robotic bartenders of the Bionic Bar, serving up delicious cocktails with delicious levels of accuracy. 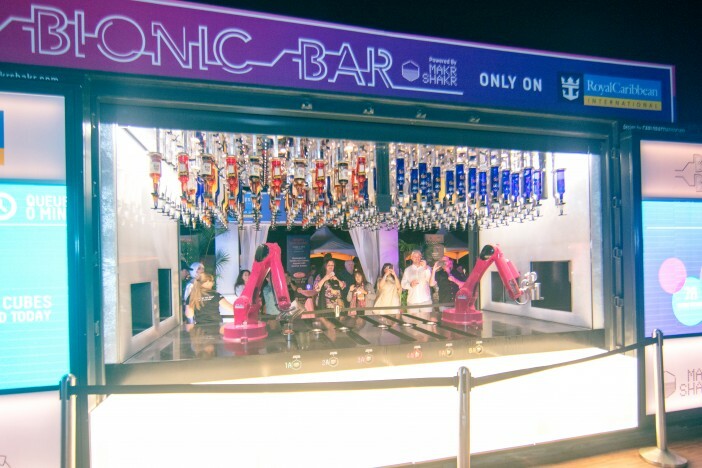 Since debuting on Quantum of the Seas, the robotic bartenders have been wowing guests who can order 40 different cocktails via a simple tablet device system. The only downside is they’re not the best listeners if you need to bend the ear of a friendly barkeep after an argument with the other half. More on this in a couple of days, but the Voom WiFi provides the fastest internet connections on the open ocean. With speeds comparable to those found on land, it’s possible to keep connected with friends and family back home wherever you are in the world – video chatting, sharing images and streaming vids. Utilising RFID technology, Royal Caribbean have designed the Wow Bands to make cruising even more relaxing and stress-free. The bands can help you navigate the ship and make on-board purchases – ideal if you’re holidaying with teenage children who want a little space and independence during their jollies. Another pioneering technology debuted on the Quantum Class to make an appearance aboard Harmony of the Seas will be the projection of 3D images onto the performers and backdrops in the AquaTheatre. The high-diving fun and acrobatic skills performed in the AquaTheatre will (literally) be given another dimension with the help of the 3D technology. If you’re looking for a technologically-advanced cruise trip aboard Harmony of the Seas this year, visit our dedicated page here. Alternatively, call our friendly sales team on 0808 274 6777 for the full range of deals. Images sourced via Royal Caribbean Press Center. Less than a week to go until the Harmony of the Seas launches, so here we have a look at the cruise ship's technology.